Alpen Rose, a new, intimate steakhouse from the Schulson Collective, opens in Midtown Village next week. Michael Schulson and Nina Tinari, the married restauranteurs behind in-demand Center City concepts including Double Knot, Harp & Crown, and their newest, Giuseppe & Sons, is opening their latest restaurant in Midtown Village next week. Alpen Rose, will be a smaller, 40-seat steakhouse on 116 South 13th Street, right in line with the back-to-back string of Schulson Collective establishments on the block, including Graffiti Bar, Sampan, and Double Knot. The size of the space is in stark contrast to the more sprawling ambiance of Schulson's restaurants. The new venue features a four-seat wraparound bar, an open kitchen, a wood-burning hearth, and a menu focused on dry-aged steaks and other meat, as well as seafood and veggie options. The decor is inspired by old school classic steakhouses, featuring dark wood paneling, dainty chandeliers, and tufted booths – as teased on the restaurant's Instagram feed. Alpen Rose will be open for dinner Sundays and Mondays from 5 to 10 p.m.; Tuesdays through Thursdays from 5 to 11 p.m.; and 5 p.m. through midnight Fridays and Saturdays. 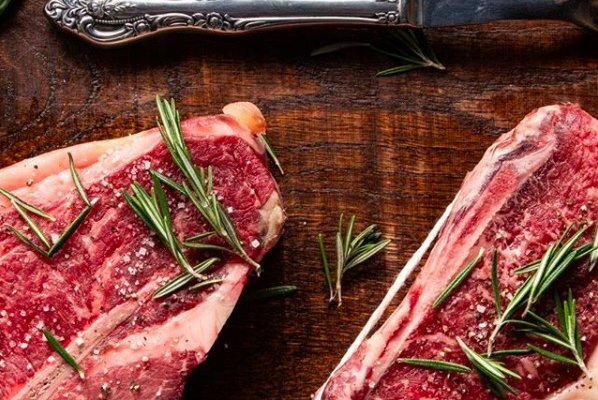 The steakhouse officially opens its doors next Wednesday, March 27. Reservations can made online.